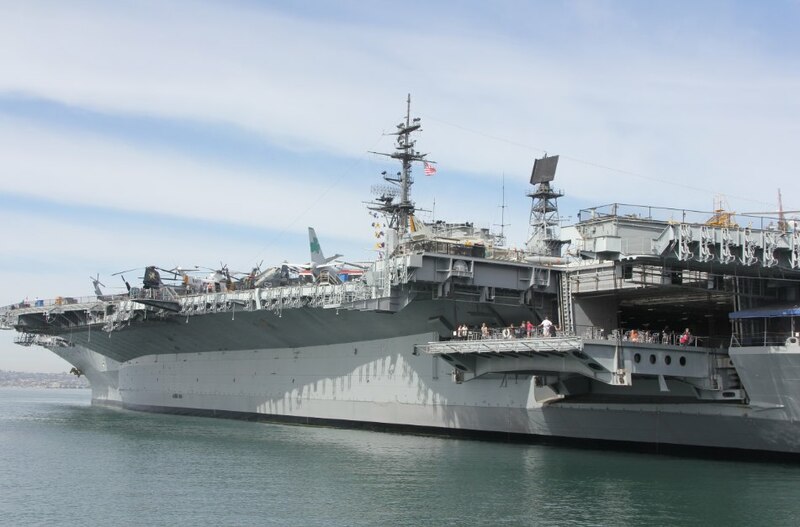 When we were in San Diego at the weekend, we went on board the USS Midway, an aircraft carrier that was built in 1945, decommissioned in 1992 and now functions as a museum. It’s a small city with an airport on top. 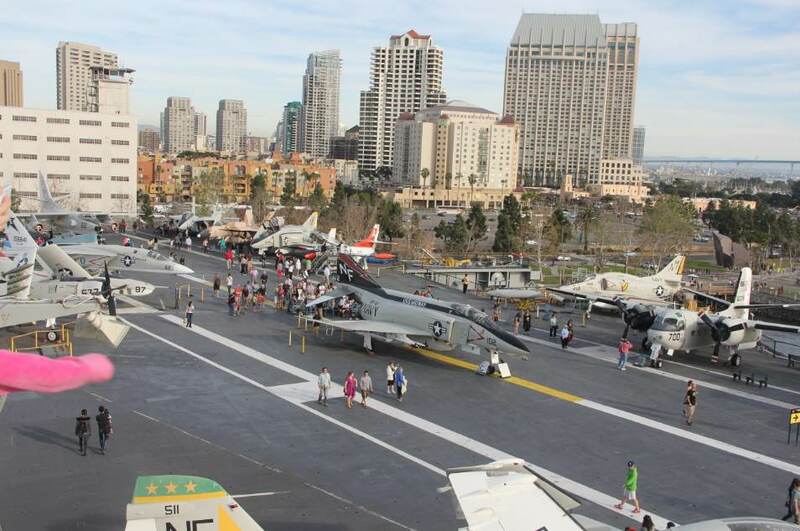 It operated with a crew of 4,500 personnel and the flight deck alone is bigger than four acres. The airport system was so efficient that planes could land and take off every 45 seconds during the day and every 60 seconds at night. On a strip of deck the size of a tennis court. 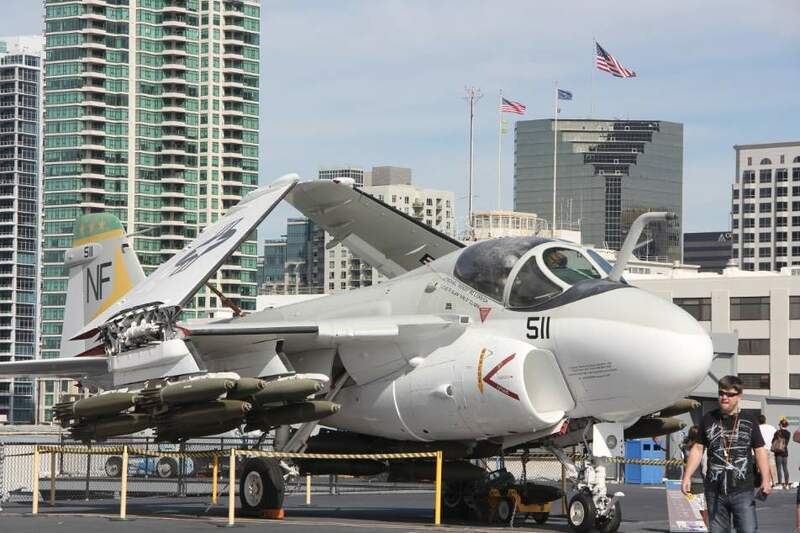 What was truly weird about the ship was that, while the technology employed in the fighter jets themselves was at the leading edge, the technology on board didn’t seem to have changed at all between 1945 and 1992. For example, messages were relayed throughout the vessel by messenger pigeon. OK, I’m exaggerating, but the system was little better than using a messenger pigeon; a note was placed in an appropriate tube and a whoosh of compressed air delivered it to the correct room. Another example: the status of each jet on board or in the air was updated by a junior officer that had mastered the valuable(?) skill of writing backwards on the back of a large piece of Perspex so he wouldn’t get in the officers’ way in the control room. Really? Was there no better way of doing that by 1992? But what made this floating museum really special was that there were regular talks on various aspects of living or working aboard the ship from people that had actually done it. 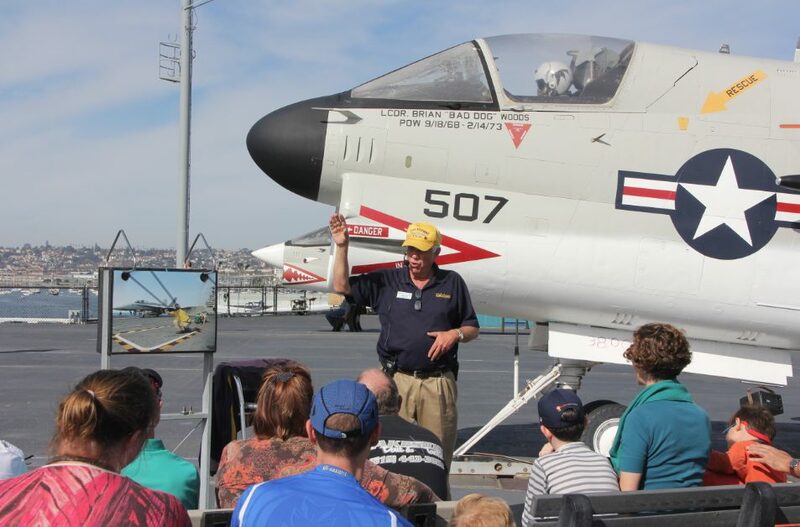 We particularly enjoyed the talk about night-time landings from the veteran that had not only done it hundreds of times, but went on to teach at Top Gun. He had some fascinating anecdotes. 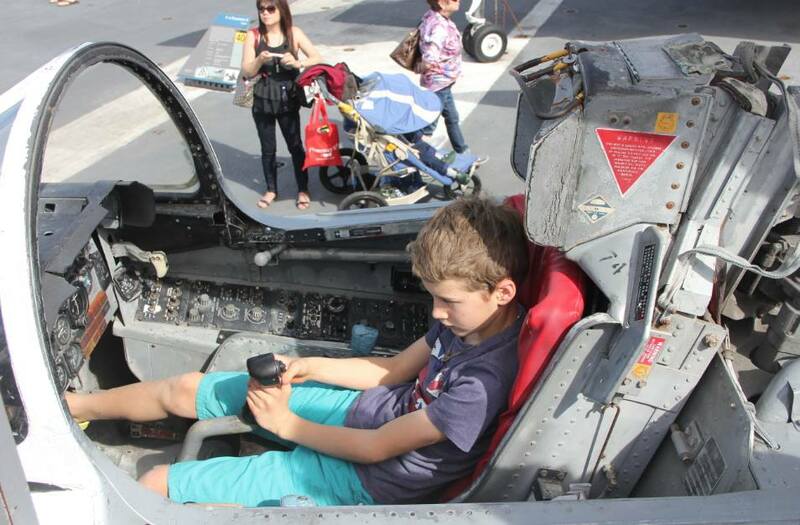 We had expected to visit the USS Midway for just an hour or two, but ended up spending all day there. That’s a first for us. As Gabriella said, hunks of metal aren’t usually that interesting. The flight deck was more than four acres. This is just a small part of it.